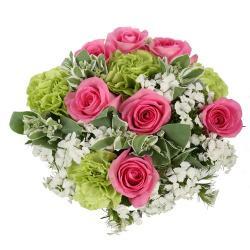 You will fall in love with this magnificent and attractive bunch of roses without any doubt. This bunch contains Twenty lovely yellow roses in a light shade of yellow. 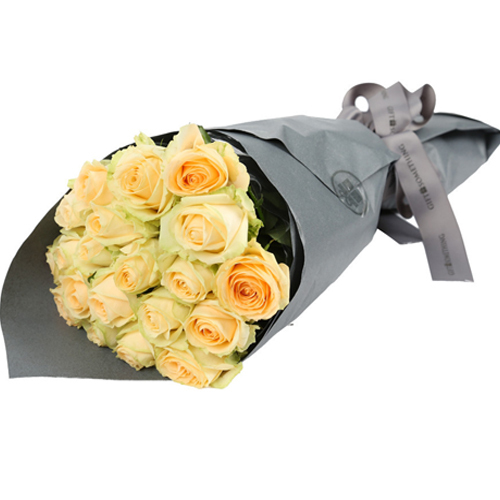 These roses have been immaculately packed in paper and come with a matching ribbon bow on top for added effect. These roses make for spectacular gifts for special occasions like Holi, Christmas, Bhai Dooj, Diwali, anniversaries, weddings, birthdays and many more. 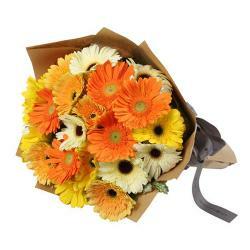 These roses will impress your special someone completely. it will be a unique gifting solution to without a shred of doubt. 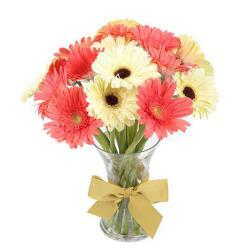 So go ahead and place your order now at giftacrossindia.com and get same day delivery without extra charges. 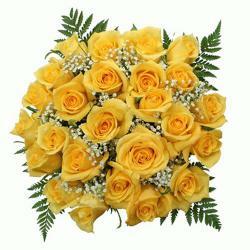 Product Details : Bouquet of 20 Yellow Roses.